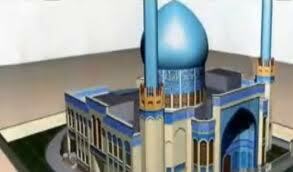 A Danish Mega Mosque — training center for jihad. Ex-Islamist Imam Ahmed Akkari is warning Danes that every mosque in Denmark is run by Islamists. Akkari recently left the Islamist movement in Denmark and has been sounding the alarm against Islamist totalitarianism ever since. The truth is that there is not a single mosque or Muslim organization in Denmark that is not run by Islamists. As soon as you enter the house of the believers, you are met with Islamism whether you want it or not. As soon as you become a devoted Muslim, you are infected by extremism. Akkari warns Danes to stick to their traditions and not give preferential treatment to Muslim. A report published by the American Freedom Law Center in 2011, found that 80% of the mosques in the U.S. provide their worshippers with pro-Islamic Jihad materials and that the imams in these mosques promote such materials. [color-box]A random survey of 100 representative mosques in the U.S. was conducted to measure the correlation between Sharia adherence and dogma calling for violence against non-believers. Of the 100 mosques surveyed, 51% had texts on site rated as severely advocating violence; 30% had texts rated as moderately advocating violence; and 19% had no violent texts at all. Mosques that presented as Sharia adherent were more likely to feature violence-positive texts on site than were their non-Sharia-adherent counterparts. In 84.5% of the mosques, the imam recommended studying violence-positive texts. The leadership at Sharia-adherent mosques was more likely to recommend that a worshipper study violence-positive texts than leadership at non-Sharia-adherent mosques. Fifty-eight percent of the mosques invited guest imams known to promote violent jihad. Read more on this at: Ex-imam: Extremists run all Danish mosques; AFLC Co-Authors Startling Study of U.S. Mosques.